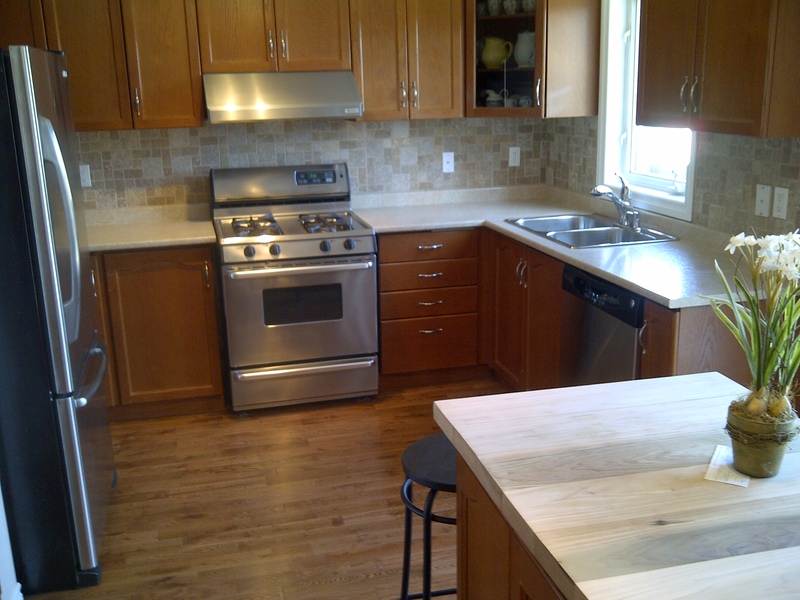 This winter, after we renovated our house, we put it on the market expecting that it would sell quickly. After a week or so, our real estate agent was disappointed. Why hasn’t it sold? we kept asking ourselves. It looked great, we were getting lots of traffic, and we thought it was well priced. We were stumped. In the flurry of activity that followed over the next few days, I didn’t give St. Joseph any more thought. 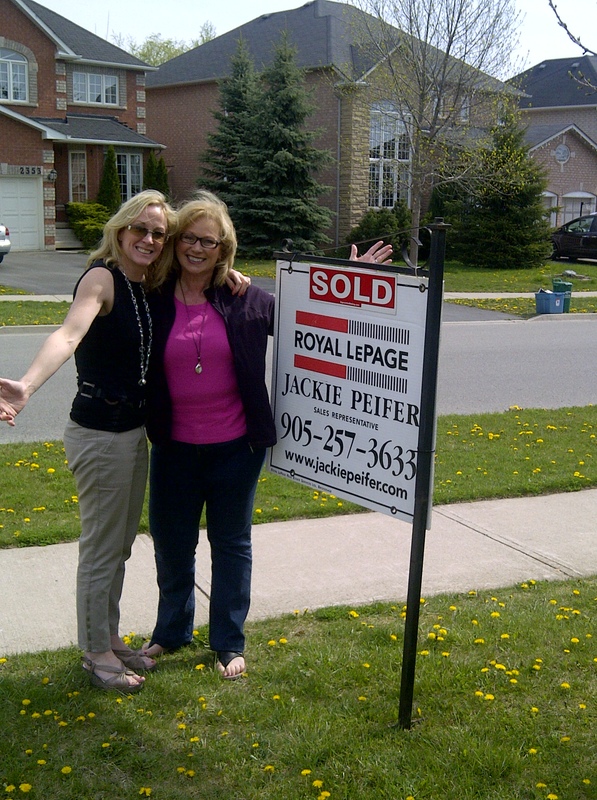 The house finally sold (hurray!) and I never saw anyone come by the house to bury a statue. When I asked our agent about it, she just smiled and shrugged. Today, as I pulled weeds from my neglected front garden, I found a strange piece of white plastic sticking out of the ground. 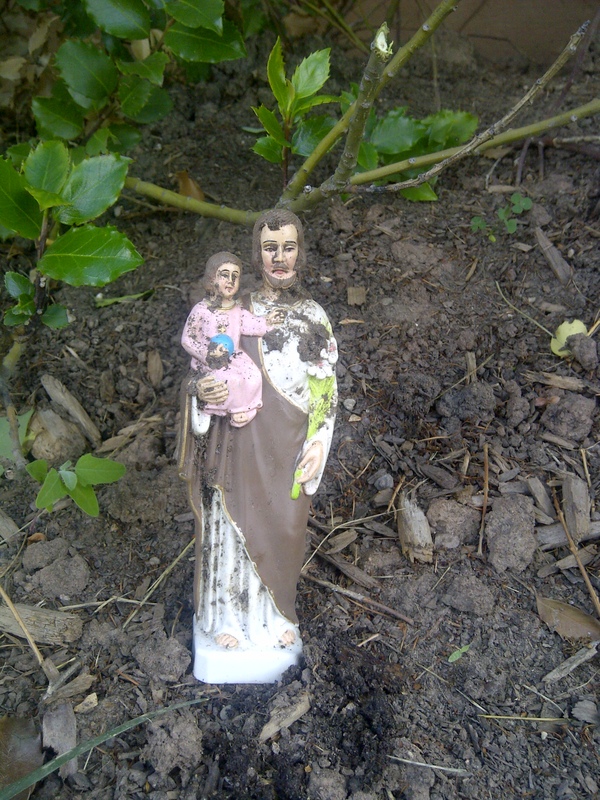 I pulled it out and there he was–a small statue of Joseph holding a young Jesus in his arms! I laughed as I scooped him out and washed him off in the kitchen sink. I don’t think he has any magical powers, but he does have a friendly face. And his story did encourage me to pray with a little more intensity. So I put him on the window sill where he can watch me pack up the kitchen. Looks like I have a new friend. This entry was posted in Uncategorized and tagged garden, God, home, life. Bookmark the permalink. Love this little tale. I know a few people who have done this too, Catholic or not. I think you’re supposed to give him a prominent place in your home too as a thank you, but I’m not sure. Thanks, Julie. In any case, he has a great spot in the sun next to a little rosemary plant!